For a few months I’ve been toying around with doing a basic single pass correction (minus crawls) to the entirety of the Blu-ray files. While I have other threads correcting the Blu-rays, they are aimed at downgrading to the '97 SE (my personal favorite of the SEs). This project is geared at simply correcting the Blu-rays and providing templates for users to create their own editions from. Please note, these colors are not theatrically accurate. Rather, they are geared towards reversing the effects of the grading for the Blu-rays. From these corrections, the editor can decide how they want to proceed with their edit. Additionally, I know there are much more issues with the Blu-rays – but that can be saved for whoever wants to edit their edition. If any of these corrections do not seem right (in terms of levels, contrast) please let me know. I want to make a basis for the fans. Special thanks to Dr.Dre and Harmy for indirectly providing very good example for me to base these corrections off of. 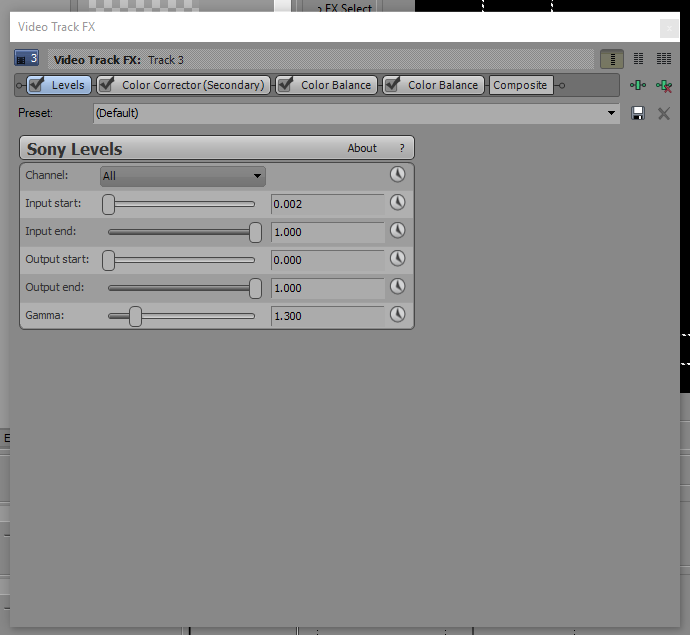 Which specific Sony Video Event FX did you use for these settings? 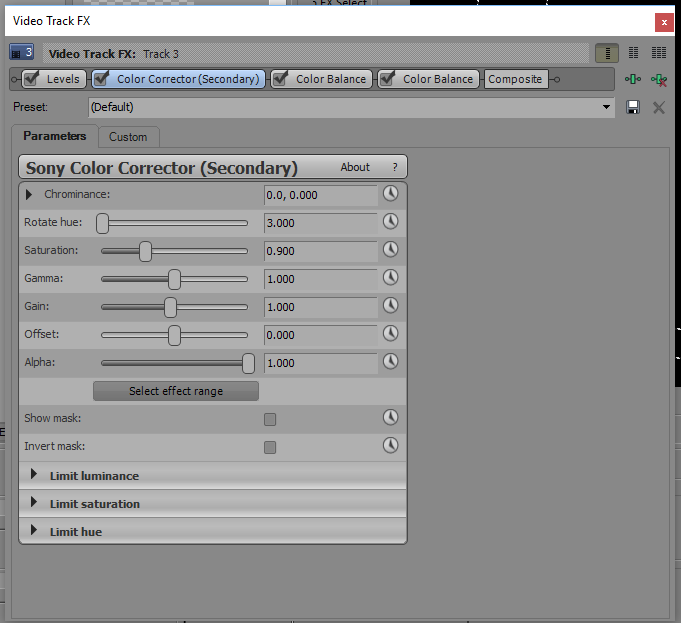 I used default presets for Levels, Color Balance, and Color Correction (secondary). Well, you have not provided enough information to duplicate your single pass correction. I’m not getting the same color results you are using Vegas. Some more detail would be helpful in giving you feedback on whether it solves some of the most egregious color problems that plague nearly every frame of the ANH BR. Here are my settings, that may be where I have misguided you. I can see I already missed one tiny detail with the levels tool. Please let me know if you need any additional details. Thank you. Overall very good. But it does leave some of the purple that plagues this transfer. A key piece that I have found to identify if the purple has been cleaned up is Luke’s chair (the one he is sitting in why he plays with the Skyhopper model). 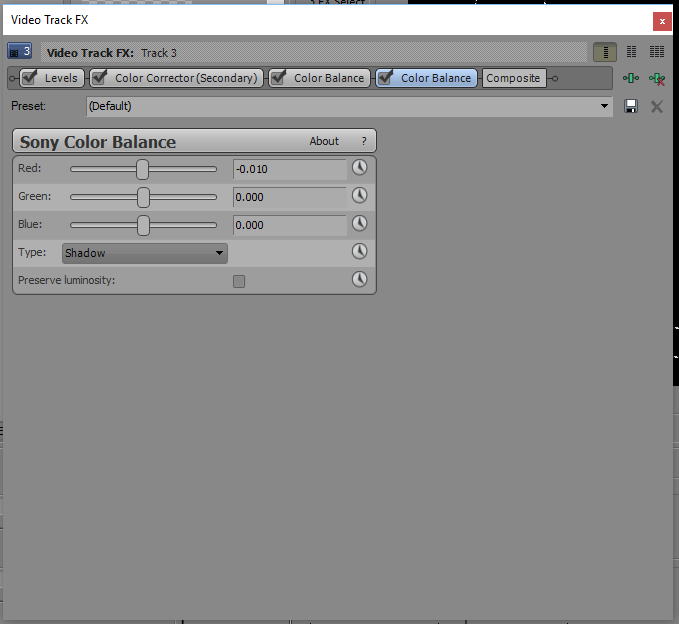 It should be gray (per the LD sources, SSE, and Mike Verta’s samples) and in the BR it is quite purple. Your correction doesn’t correct for that. While it might seem like a single issue, I have found that it is indicative of the larger color issue that needs to be fixed. I have taken a pause in my attempts to color correct the BR to work on the GOUT - under the assumption that it holds the best example of the colors throughout the films. My attempts to correct GOUT ANH to Mike Verta’s samples has led me to settings that when applied to ROTJ GOUT, are almost identical to the Grindhouse LLP of ROTJ that Harmy released. I am completing my last tweaks and then I’m going to give the 97 SE a go before I return to the BR. But all attempts to do a single pass correction keep getting us close to something close to the original. I think you may have the best one I have seen so far. Thank you. I will work on tweaking the colors some more. My question for you though, do you think the levels are okay? I tried to match them to Harmy’s versions as best I could, but “I may have gone too far in a few places”. I like the look of this, good luck with the project! One question: will you be releasing this on MySpleen? Once I finish tweaking the settings, I will put these on the Spleen as soon as I can. Still working on these, believe it or not. This time I used a LUT as a basis for the correction, and then tweaked levels and saturation. I did a split screen comparison, so you can see how radically different it looks. I take it your settings are just for Star Wars, and not Empire or Jedi? These settings also work for ESB and ROTJ. Will post screenshots of them once I’ve done some more tweaking. Back at it again with a less drastic approach. Gamma was not adjusted, rather the highlights were. There was also a shoulder applied to mitigate the brightened highlights. Once again, blue highlights were reduced, as was the red in the shadows. Looks great. Maybe not “authentic”, but pleasing to the eyes nonetheless. 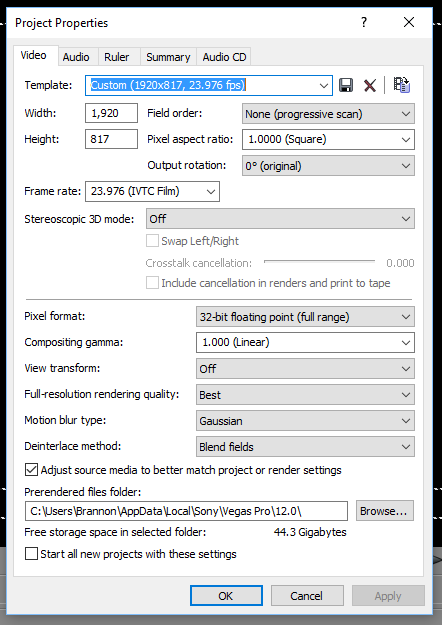 Here’s some screencaps of these settings applied to ESB. ROTJ seems to require some additional color work, as it does not look nearly as good as either ANH or ESB. I realized that the Gamma did need to be raised, or else the picture looked flat – so highlight levels were NOT touched, only gamma and contrast. Nicely done! Looks like I have two versions now: One for original transfer and palette, and one for oogle factor. 😃 This is probably exactly what I need for my upstairs projector. The “authentic” colors seem even more washed out at times with its contrast. Do or do not - There is no try. Unless you get married. Here is my take on ROTJ! From what I’ve seen so far, each blu-ray version will need different settings. ANH requires great effort, but the other two won’t require so much. It helps to have something to correct to. That is sadly lacking in the case of TESB. For ANH we have the Technicolor IB prints and for ROTJ we have the low fade prints. For TESB, we have faded prints and the various home media. I’ve decided to use the GOUT. I color corrected ANH to Mike Verta’s samples and adjusted for the green bias he noted then applied those settings to TESB and ROTJ. The test was if ROTJ looked like the low fade print (accounting for some corrections it needs) and I think it does. I don’t have a sharable version at the moment. I don’t think the goal of this is to correct to any specific print or source, just to make them look good. Which so far they do in my opinion.